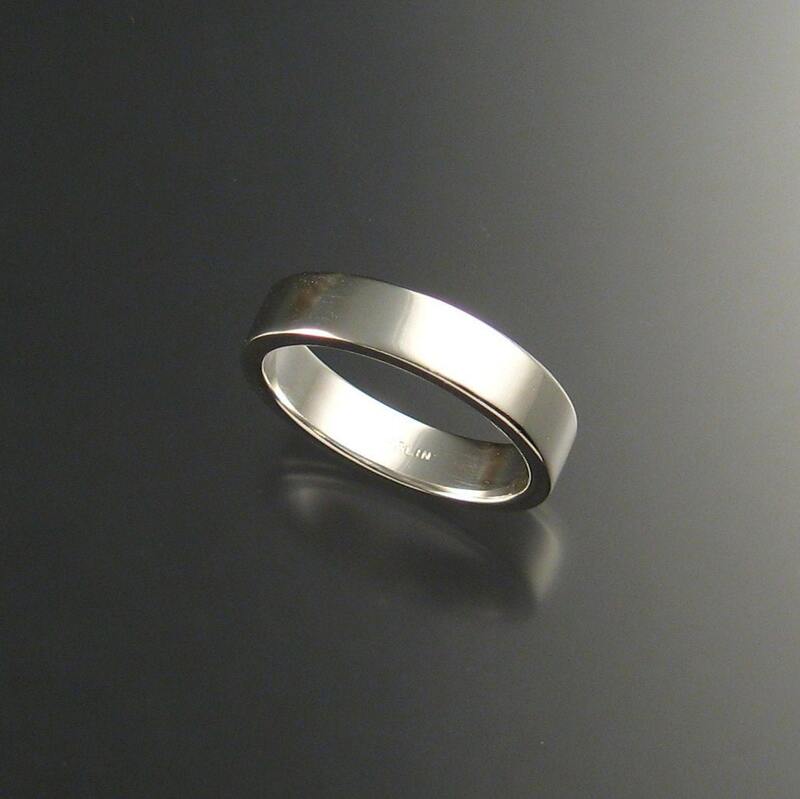 This ring is formed from 2mm thick by 5mm wide rectangular Sterling Silver. 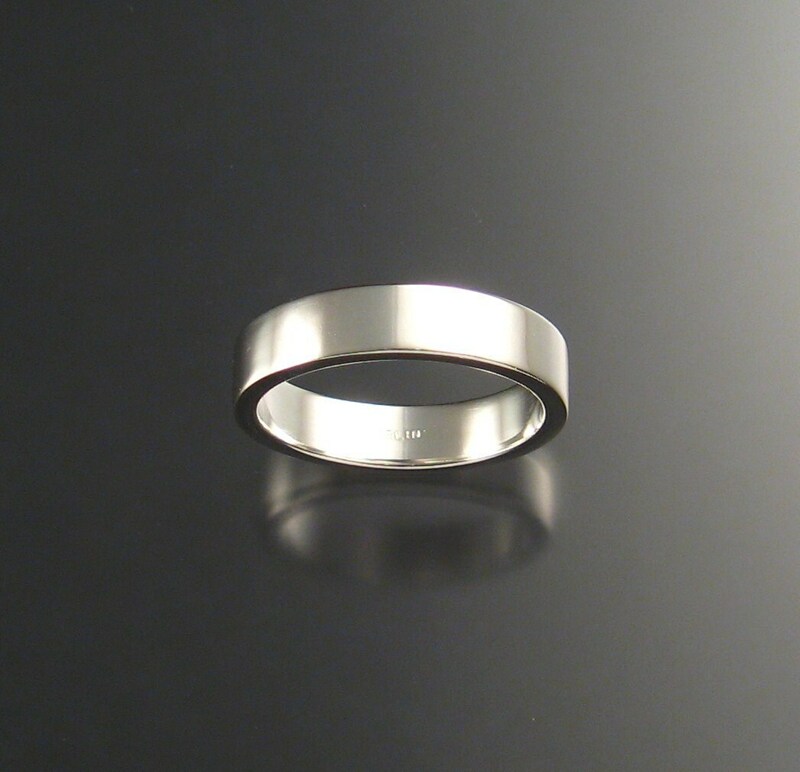 Polished to a bright smooth finish. 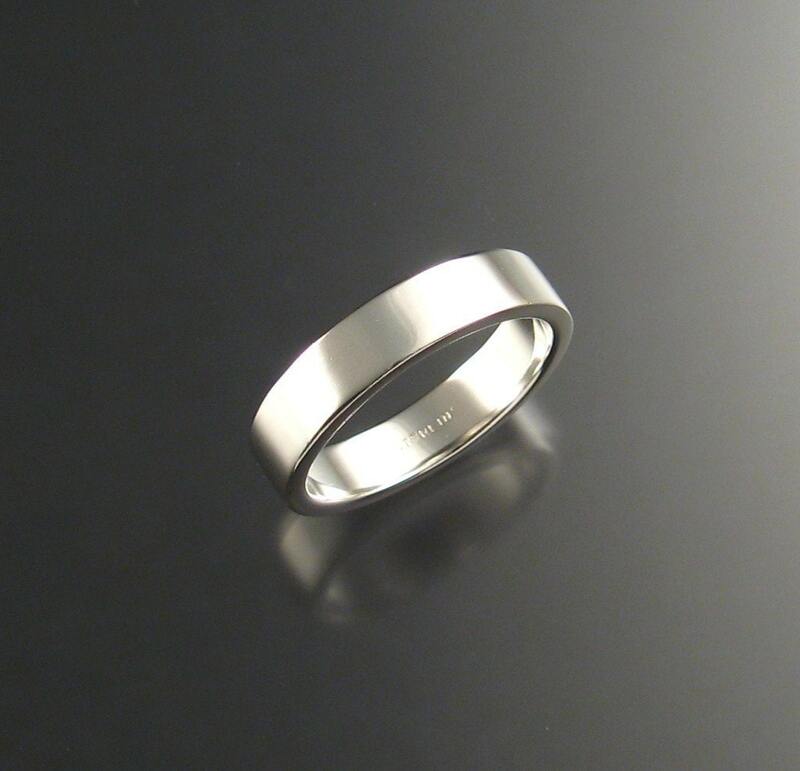 Gorgeous, simple wedding bands. Nice work. My fiance is very happy with this ring. It fits perfectly and it's just what he wanted. 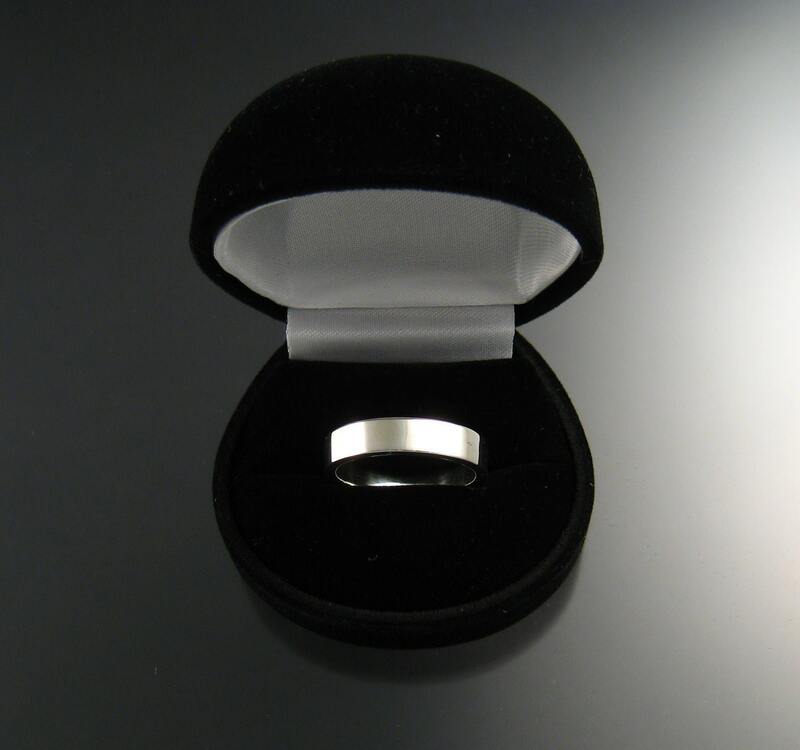 After we placed the order, Graham got back to us quickly and the ring arrived prompty. 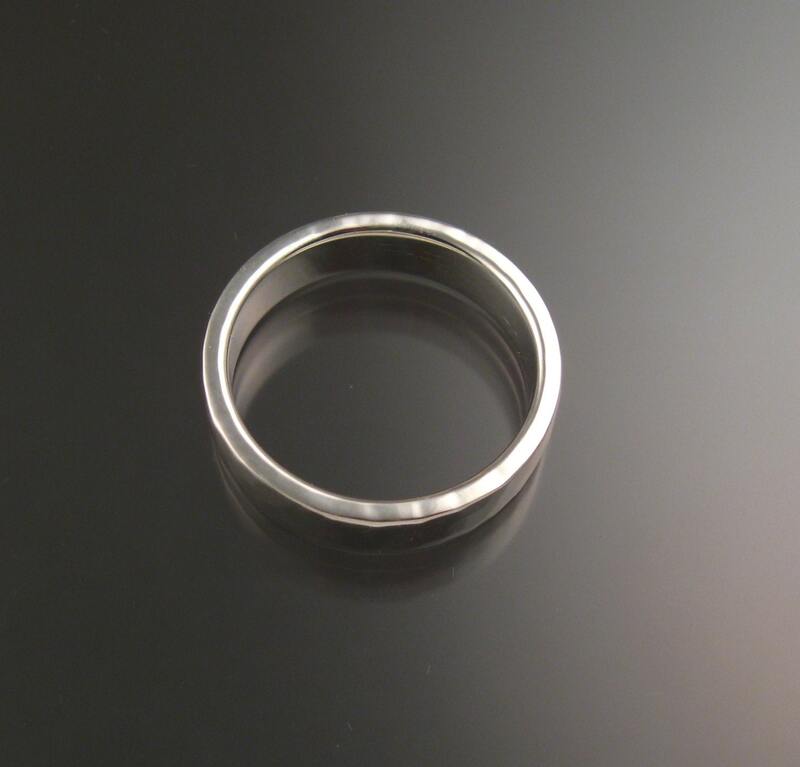 We highly recommend stone fever jewelry!